Paul was about 51 years old. He was slowly making his way from Athens to Corinth. His mind and body were on overload. The events and journeys were taking their toll and he was off balance and on the ropes. On the first journey there had been the opposition in many cities. It had been a continual fight until he reached Derbe. Included in this section of his life was the near death experience of the stoning at Lystra. Now he was headed toward Corinth with Athens in his rear view mirror. He reveals his thoughts in his writings. He was in despair. He was so low he actually despaired of life. Paul was at his lowest point. Looming in front of him was his greatest challenge. Greater than the cities of Asia minor, greater even than Athens, the intellectual capital of the world. Recently, he accepted the failed completion of a church in Philippi, then Thessolinica, then again in Berea, and finally the collaspe in Athens! Somewhere along the dusty travelled road in AD 51, Paul decided I will preach Jesus Christ and him crucified, and nothing else. Beaten and discouraged, Paul was not ready for what would happen in Corinth. Corinth was the second largest city in the empire, boasting a population of 700,000 people. Only the capital, Rome was larger. The city was new, as it had been destroyed only 100 years before by the Romans and then rebuilt. It show cased modern architecture. Corinth was only a few miles from a seaport so there were sailors who came to visit the temple that offered 1000 prostitutes as a form of worship to the Gods of Corinth. There were Roman officials, a large Jewish population, soldiers, orientals, and every strata of life. Into this morass walked Paul at his lowest point. The greatest apostle at his worst, pitted against the greatest challenge of his day. The result is history! In eighteen months Paul built the largest church in the history of the world. The lowest estimates are 40,000 and most historians say the number was more like 80,000 people. The failures of Athens, Berea, Thessolinica, and Philippi, faded as Corinth unfolded. At the end of his second missionary journey, Paul had fully recovered in every way. What was his secret? While reading the books written to Corinth again recently I was struck by the big picture of chapter seven of the first letter. So often I have seen the mechanics of this chapter, marriage, virgins, widows, servants, free men, etc. I realized in all this discussion there rested the secret of Paul’s life and success like an un-mined diamond. He addressed people that were unhappily married, he addressed virgins, he addressed servants, he addressed free men, he addressed widows, he addressed circumcision. In all of it he stressed for people to be content! That was Paul’s secret, to be content! He weaves this thread into many of his other writings. It was the balm for every running issue of life. Unhappy married people, be content! Whatever your calling, be content! Maybe, just maybe, if you could forget your Lystras, your Bereas, your Athens, you might reach your Corinth when you least expect it! Maybe, just maybe, your greatest season of life is waiting for you when you become content. When the servant seethes in resentment because they are not free, when the unhappy marriage poisons your daily life, when the past disappointments over whelm you, reach out and pick up Paul’s secret of success! Find contentment in your life and maybe just maybe, there is a Corinth waiting for you! Maybe at your lowest, and life’s challenge at it’s most formidable, contentment will bring you your greatest moment! Are the tears you shed for your marriage happy tears or sad tears? Somewhere around 3000 years ago a giant named Goliath walked out on the battlefield and challenged the armies of Israel. The gauntlet was thrown down and the challenge was bellowed. The terms of conflict were clear for everyone. It was winner take all and no survivors! I am convinced today there is another challenge, on yet another battlefield. Satan struts out on the battlefield of America and throws his challenge. The battle in 2010 is for our homes. Satan attacks with technology, with Hollywood, with busyness and time constraints, and stress. One of his most effective attacks is on marriages. He has rolled out the big artillery the last few years. He is after the family values in America. In 2009 there were 2,162,000 marriages in America. The marriage rate was 7.1 per 1000 people. The divorce rate was 3.5 per 1000 people. In the 1996 presidential election 50% of the electorate said moral values were one of the most important issues. In the 2004 presidential election, that percentage stood at 34 %. In 8 years 16% of support had eroded. From the 2000 election to the 2004 election, support for gay marriages increased 50% in America. For the last 30 years moral values have been some of the most important factors in elections. In 2005, 11 of 17 states amended their state constitutions to prohibit gay unions or gay marriages. Satan is attacking the Biblical ideal of marriage between a man and a woman. But he does not stop there. Satan also attacks the marriages of Christians. Some statistics say the divorce rate for conservative Christians is higher than the rate for atheists and agnostics. Others say the opposite. Tom Ellis, Chairman of the Southern Baptist convention’s council on the family says the true fact is 1 in 39,000 marriages, end among conservative Christians. That is 0.00256%. The question in your marriage is, are you surviving or thriving? Are you and your spouse meeting each others personal needs? Here we are in mainstream America where prayer is illegal, and abortion is encouraged. Where, if you resist the gay marriage deluge, you practice hate speech, and you are homophobic! Where our kids walk through metal detectors to get on the school ground and are handed condoms. Does anybody believe me when I scream….the battle is raging? If anyone is naïve enough to think you can ignore your marriage, and it will thrive on it’s own, by simple church attendance, you are sadly mistaken! On January 31, 1996, I ended a journey of 9048 days of marriage. Over 25 years. I dated in the church, I married in the church, and was finally divorced in the church. On that January day in 1996, I started a journey that has now stretched to 5,192 days, over 14 years of living alone. If I could help even one person to not go down that road, it would be worth it all. But even more, what if I could I help those still in the marriage, to make that marriage all God intended it to be? I was driving down the road with Martyn Ballestero a few weeks ago. We were on main street in Sumner Washington, right in front of McDonalds, in the left turn lane. God spoke to me. God said “What did the children say of their mother in Proverbs chapter 31?” In my mind I answered, they called her blessed. And God said, “What did her husband do?”. I answered he praised her. God told me to look it up and see what kind of praise the man gave his wife. I did, and Brother Ballestero wrote a wonderful blog on it. I hope you will click on the link, go to his blog site and read the blog on how to have the best wife in the world! Returning home after being at 33rd annual meeting in Beebe Arkansas. Too much food and too little sleep! Dr Scheel and his family and church are never surpassed as hosts. They are incredible! 44 years ago, a 17 year old, single young man, hitch hiked into Beebe with his worldly belongings in a cardboard box and a paper sack. He was starting a church. 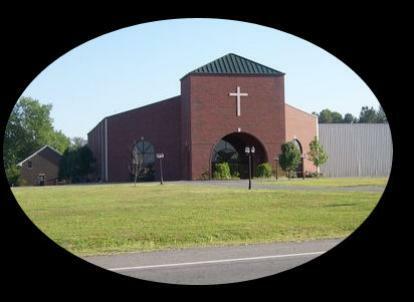 This was to be his second church. He had already pastored one church and even built a new church building at 14 years old. 2 and 1/2 years later he married a young lady named Vicki, and they started their family. A couple of years later and their firstborn came into the home. A son followed four years later, then three years later the baby girl joined the growing family. 44 years of victory and tragedy, joy and pain, and through it all a great work for God. There is now a beautiful church plant and congregation. Congratulations to Dr Scheel and Pastor Scheel for this landmark celebration. Janice Alvear spoke the first night. The day speakers were Greg Riggen and Tim Bourn. William Davis was the night speaker. All the messages were outstanding. No one surpasses Lighthouse Pentecostal Jesus Name Church in christian hospitality. We have a fireplace in our sanctuary. When we have tried to use it the ventilation is poor and our members with asthema have not been able to stay in the room. The fumes were offensive to their sensitive allergies. Someone suggested we use logs made from coffee grounds. I did not know there was such a thing. I checked. There was. Someone had found a use for used coffee grounds! 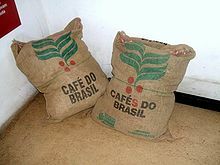 Coffee beans grown and harvested somewhere thousands of miles away, now ground up and used, still had a life! The grind and purging had taken any irritant out of them and they are perfect as unoffensive fire. Isn’t life like that sometimes? The grind of life wears off our rough edges and makes us tolerable to people who might be sensitive. Even though Life is so “daily”, the daily grind has a benefit. When our fire burns after the daily grind, it is an acceptable fire. The toxins of pride and self will have been flushed out with the brewing. It was the sand in my shoes, that almost drove me to quit my journey! May I encourage you today to see the “Daily Grind” as part of God’s brewing process to remove the offensive particles out of your life? Just one more reason for that tantalizing, wonderful cup of brew every morning!